Not sure who's running this year, but think it will be Nidderdale Jill (Jo) with Rob Moore. And Nidderdale Nidd with Ross Watson. And possibly Jim Cropper with Nidderdale Barry and/or Nidderdale Walt. Not running Rebel as I have only been to one trial this year, just dont have the time. He's been doing all my jobs though. The same four Nidderdale dogs are qualified to run in the 2015 English National at Macclesfield. Though with a couple of changes of handler. I will be running Nidderdale Rebel, and Ross Watson now owns Nidderdale Nidd. Nidderdale Jill (known as Jo) and Nidderdale Rebel, both with Rob Moore. Jo Richardson has two Nidderdale dogs. This is her website www.stamforddoggrooming.co.uk. 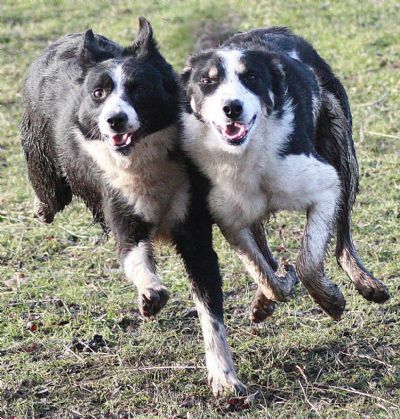 Click here to read about her Nidderdale dogs. Jackie Goulder's yellow dog dingo is a litter sister to Zak. She is called Zandie and we love meeting up with them. 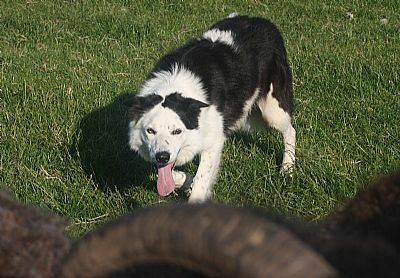 The International Sheep Dog Society now has a new website. It is now possible to navigate between the 6 ISDS trial sites for the International, the English National, Irish National, Scottish National, Welsh National and the 2014 World Trial.